This collectible pen was handcrafted from a sycamore tree that stood by General Grant's Civil War headquarters at City Point, Va. The historic witness tree was removed from the National Battlefield site during the summer of 2007 by the National Park Service. City Point served as the command and supply center during the ten month siege of Petersburg, Va. Petersburg, with its railway network, was the key to the capture of the Confederate capitol of Richmond, Va. After several unsuccessful direct assaults on Petersburg, General Grant started the longest siege in American warfare. 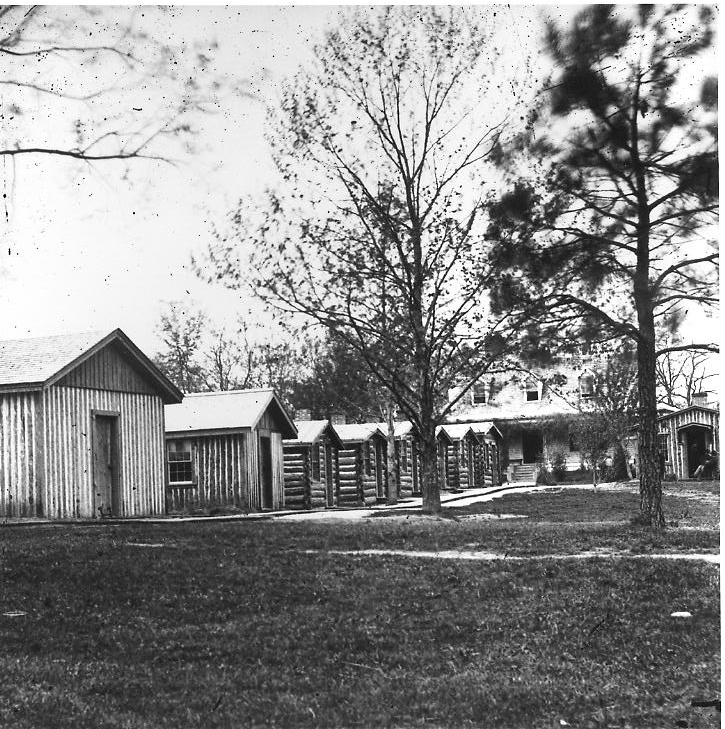 The simple log cabin that served as Grant's headquarters was built in December of 1864. Grant's cabin had only two rooms, a front office and a small apartment for his wife and son. The grounds were on Appomattox Manor owned by Dr. Richard Eppes. Dr. Eppes owned about 130 slaves on his 2,300 acre estate. Many of the slaves gained their freedom in 1862 when Union troops temporarily landed at City Point. On March 24, 1865 President Lincoln, along with his wife Mary and son Tad, arrived at City Point aboard the riverboat River Queen. Lincoln wanted to be near the battlefield so near the end of the bloody Civil War and away from the pressures of Washington. While at City Point Lincoln met with both Generals Grant and Sherman, along with visiting the battlefield and troops. Aboard the River Queen Lincoln outlined his vision for the end of the war.